Rullion Green did not put an end to the Conventicler’s protests. The earl of Lauderdale’s approach to the rebellion had two sides. On the one hand, he was willing to show moderation to those who could be persuaded to accept some compromise. In 1669, he persuaded Charles II to issue a Letter of Indulgence, which allowed ministers who had lived peaceably to return to their parishes. In 1672, a second Letter of Indulgence brought 90 more ministers back into the church, appointed to 58 selected parishes. These measures split the ranks of the Conventiclers. Those who were drawn back into the Church through the Indulgences were condemned by the more extreme protestors, who became even more defiant in their attitude. Lauderdale was unwilling to show any leniency when dealing with these persistent rebels. In 1670, a bill was passed making attendance at a conventicle treasonable. Those who preached at the meetings were liable to be sentenced to death. Repression of the Conventiclers continued over the next few years. Landowners were held responsible for the behaviour of their tenants and penalised heavily if conventicles were held on their land, a measure that added to the unrest. 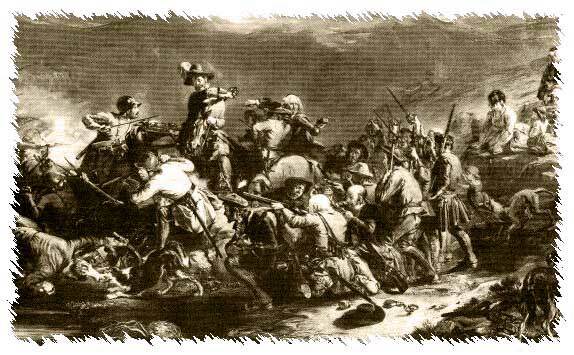 In 1678, a mixed force of 9000 Highlanders and Lowlanders was moved to the southwest of Scotland, seat of the rebellion, to help with dispersing the conventicles and punishing the offenders. The Conventiclers became more determined in their defiance and more organised in their response to the persecution. On 3 May 1679, a group of Covenanters Archbishop Sharp of St Andrews from his coach and murdered him. In Rutherglen, on 29 May, in an act of open defiance, another group publicly burnt copies of the acts of government that had overthrown the Covenant. It was inevitable that the conflict would escalate. One of the most prominent figures in the government army was John Graham of Claverhouse, a very capable military leader whose zeal in carrying out his duties in stamping outl the Covenanting revolt was to become notorious. When news reached him that a large conventicle was holding meetings at Drumclog, he set off with a body of troops to disperse them. The government troops were well armed and well disciplined, but the Covenanters, whose numbers were greater, had the advantage of familiarity with the marshy terrain. They too were well armed and they were well prepared for the attack. Claverhouse’s horsemen soon found themselves in difficulty on the soft and sodden ground, and the Covenanters laid into them ferociously, killing a great many of them and sending Claverhouse and the rest of the survivors into flight. 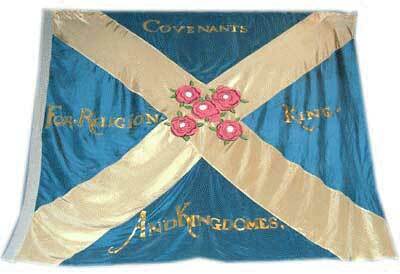 The victory spurred the Covenanters on to greater things. Several thousand stormed Glasgow, drove out the occupying garrison and by 6 June had taken command of the city. Their success was to be short-lived. Within two weeks the tide would turn against them.